From infancy! If you had a godly mom that brought you into the world surrounded by faith in Jesus, stories from the Bible, and lullabies of faith, then praise God and thank her. If you didn't, then make a commitment that your children and your grandchildren will be given this head start in life. Yes, personal faith will be won in adolescence or adulthood, but beginning in infancy is such a blessing. To fill a child's world with love and hope and promise because of Jesus is the greatest gift a parent can give! Holy and attentive Father, I thank you for the incredible gift of believing parents. 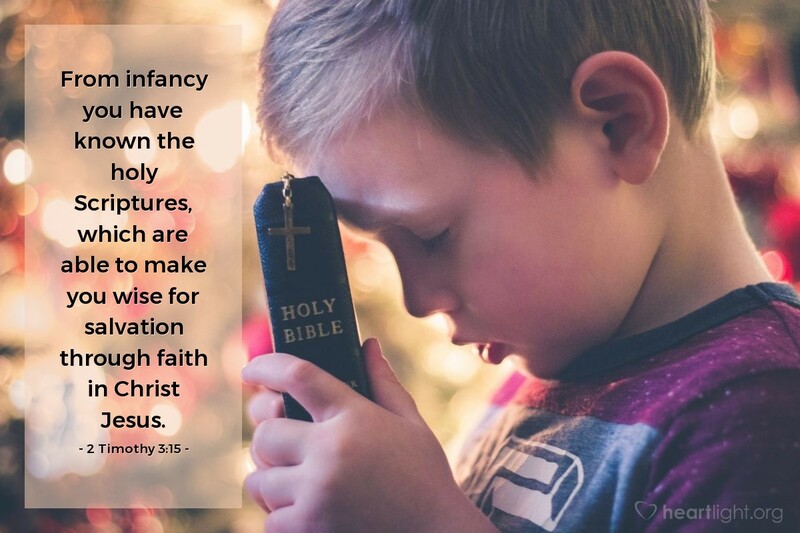 I pray that more of us who do believe will be active in sharing our faith with our children. Please make my family and my life a place where children and grandchildren can find it easy to believe and safe to rejoice in Jesus. In his precious name I praise and thank you. Amen.